Following on from my last article, if you recall I said that Baddow Road had the most properties sold in the CM2 Chelmsford postcode, yet I felt that this information wasn’t telling the whole story, as some roads in Chelmsford have more properties on them than others. Therefore, I promised that I would compare the average number of properties sold by the actual number of properties on that street, to find out the streets whose owners proportionally moved (or sold) more often than the rest of the locality. To give some foundation to the article, in 2017 Chelmsford homeowners had, on average, lived at their existing address for 17 years and 6 months. 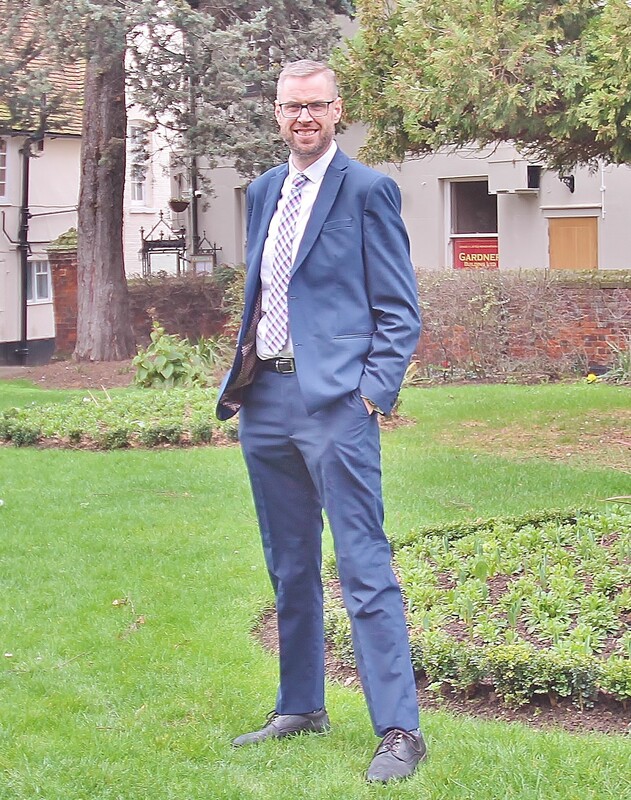 However, when I looked at the difference between homeowners with and without a mortgage; Chelmsford homeowners without a mortgage had lived in their Chelmsford home for an average of 23 years and 9 months compared with 10 years and 1 month for homeowners with a mortgage. Interestingly, Chelmsford’s Council house tenants have on average resided at their present home for 11 years and 4 months, whilst finally for those who rent from a private landlord, tenants generally have lived in their property for an average of 3 years and 11 months (up from 3 years 5 months only five years ago). 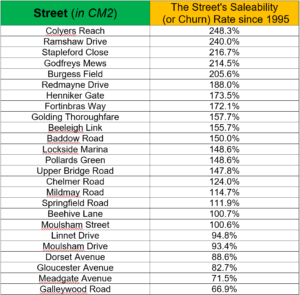 The CM2 street in the top 25 saleable streets with the highest number of households on it is Linnet Drive, which has 442 residential addresses. Yet since 1995, only 419 properties have changed hands (some multiple times!) 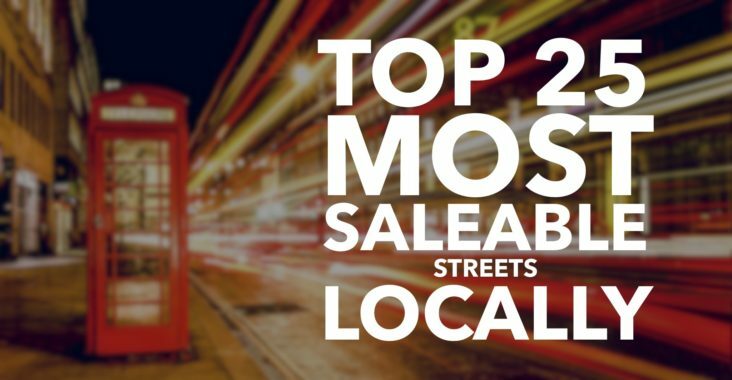 .. which means the street’s saleability or churn rate is 94.8%. Therefore, what does this all mean to Chelmsford homeowners and Chelmsford landlords? 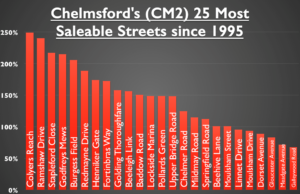 Well these 25 streets are the best performing streets out of the 664 streets in the Chelmsford (CM2) area so if you live/own a property on those 25 streets … you are sitting on a very saleable street. 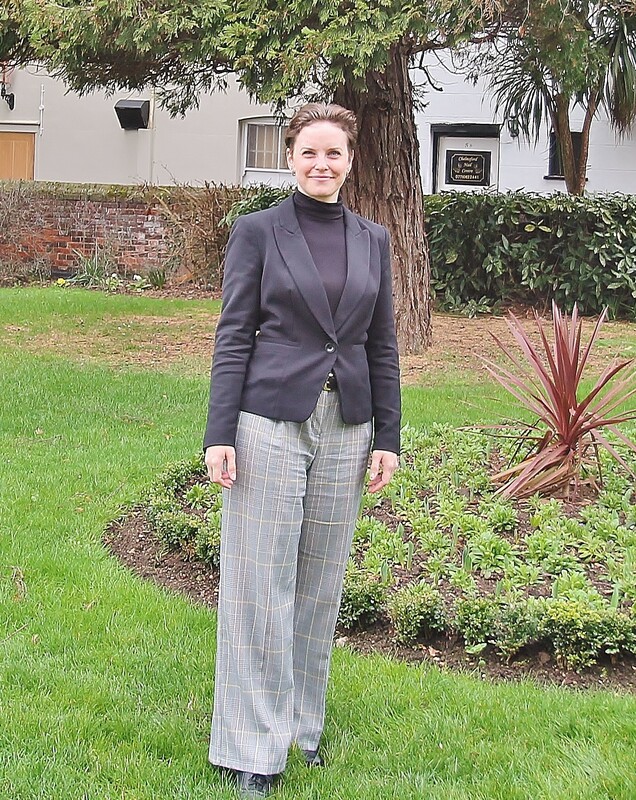 If you want to find out how saleable your street is .. please drop me a line and we can discuss this further.